HALO researchers Dr. Annick Buchholz and Dr. Mark Tremblay are co-authors on a paper, “The CANadian Pediatric Weight Management Registry (CANPWR): Study protocol,” that was recently published in BMC Pediatrics. Citation details and a summary of the paper are below. Katherine M Morrison, Samah Damanhoury, Annick Buchholz, Jean-Pierre Chanoine, Marie Lambert, Mark S Tremblay, Glenn Berall, Jill Hamilton, Anne Marie Laberge, Laurent Legault, Lehana Thabane, Monica Jakymyshyn, Kathryn A Ambler and Geoff D C Ball. 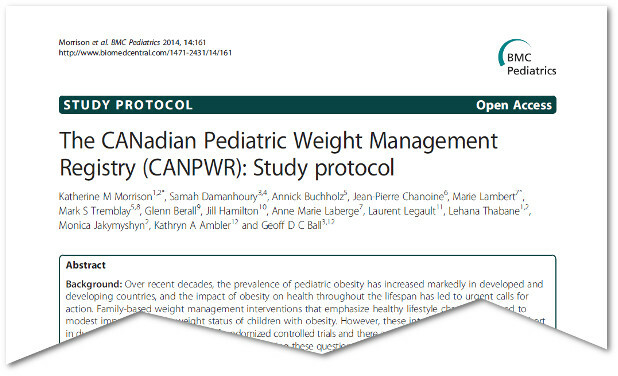 The CANadian Pediatric Weight Management Registry (CANPWR): Study protocol. BMC Pediatrics 2014, 14:161. ABSTRACT: Background. Over recent decades, the prevalence of pediatric obesity has increased markedly in developed and developing countries, and the impact of obesity on health throughout the lifespan has led to urgent calls for action. Family-based weight management interventions that emphasize healthy lifestyle changes can lead to modest improvements in weight status of children with obesity. However, these interventions are generally short in duration, reported in the context of randomized controlled trials and there are few reports of outcomes of these treatment approaches in the clinical setting. Answering these questions is critical for improving the care of children with obesity accessing outpatient health services for weight management. In response, the CANadian Pediatric Weight management Registry (CANPWR) was designed with the following three primary aims: 1. Document changes in anthropometric, lifestyle, behavioural, and obesity-related co-morbidities in children enrolled in Canadian pediatric weight management programs over a three-year period; 2. Characterize the individual-, family-, and program-level determinants of change in anthropometric and obesity-related co-morbidities; 3. Examine the individual-, family-, and program-level determinants of program attrition. Methods/Design. This prospective cohort, multi-centre study will include children (2–17 years old; body mass index ≥85th percentile) enrolled in one of eight Canadian pediatric weight management centres. We will recruit 1,600 study participants over a three-year period. Data collection will occur at presentation and 6-, 12-, 24-, and 36-months follow-up. The primary study outcomes are BMI z-score and change in BMI z-score over time. 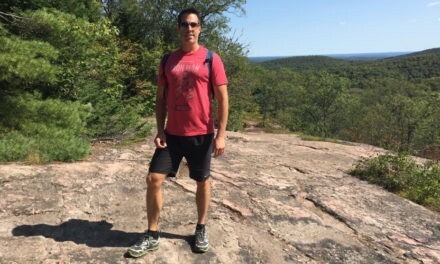 Secondary outcomes include anthropometric (e.g., height, waist circumference,), cardiometabolic (e.g., blood pressure, lipid profile, glycemia), lifestyle (e.g., dietary intake, physical activity, sedentary activity), and psychosocial (e.g., health-related quality of life) variables. Potential determinants of change and program attrition will include individual-, family-, and program-level variables. Discussion. 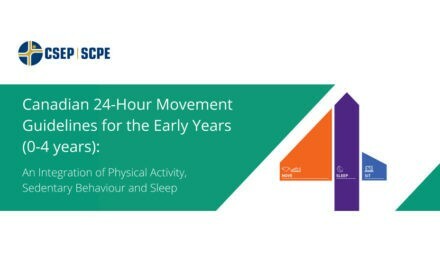 This study will enable our interdisciplinary team of clinicians, researchers, and trainees to address foundational issues regarding the management of pediatric obesity in Canada. It will also serve as a harmonized, evidence-based registry and platform for conducting future intervention research, which will ultimately enhance the weight management care provided to children with obesity and their families.